We had a perfect little night out and rushed home to snuggle the babe! I also have to mention this look is almost a little red, white cream and blue which is slightly fitting since it's September 11th today. I will never forget sitting in my 8th grade math class when our teacher turned on the TV to the news on every channel. The TV filled with smoke and ash. Thank you to those who protect us every day and we will never forget that day that brought us together better and stronger as a nation. I will hug my loved ones a little closer today for those who may have lost theirs that day. I hope you are all having a wonderful week so far. Thanks for following loves! Beautiful photos! 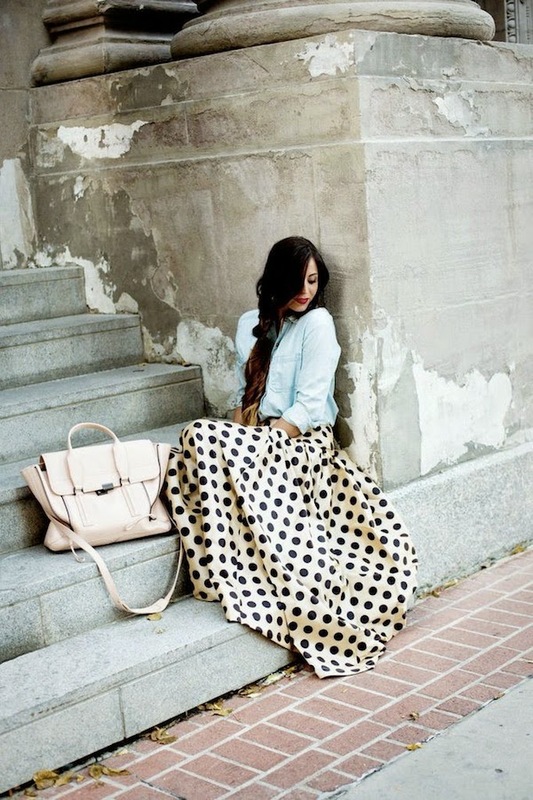 Love this skirt. 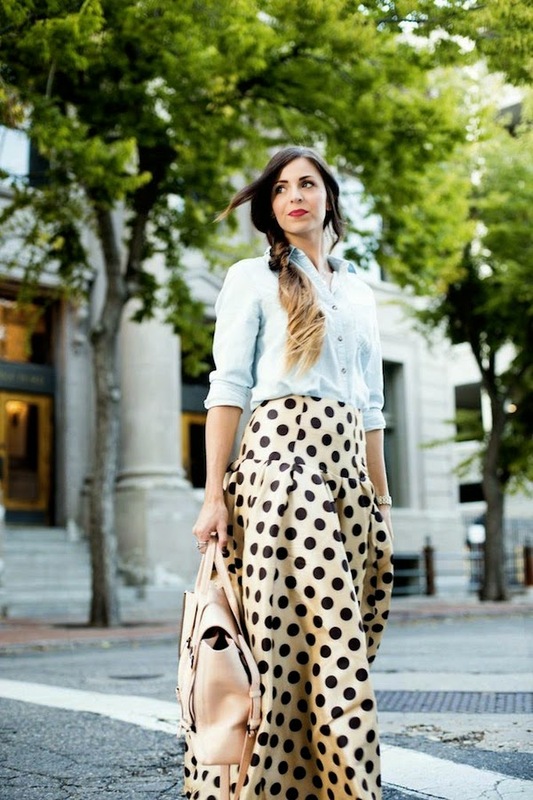 Wow, that skirt is absolutely stunning! 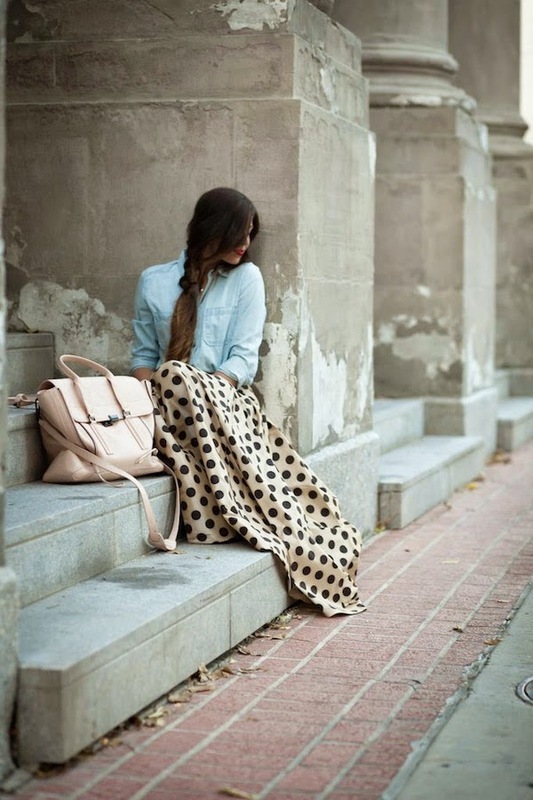 I love how you styled it with the chambray top adn gorgeous bag! 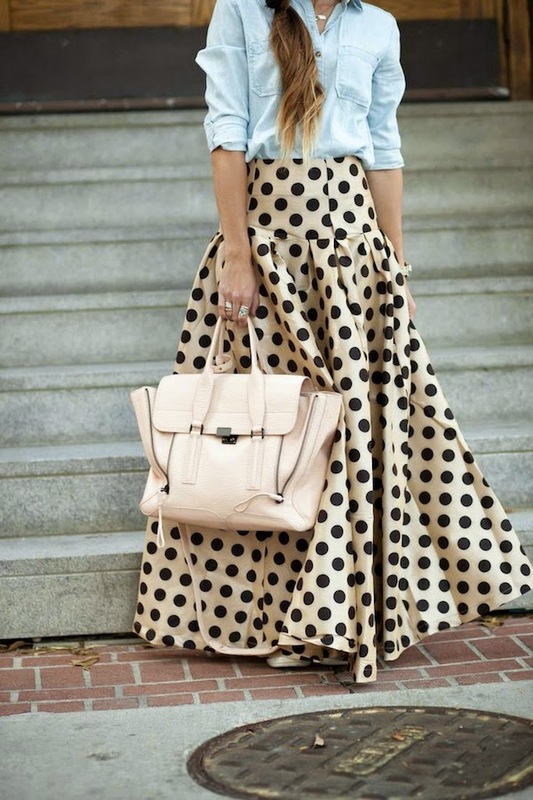 Wow that skirt is SO fab. Love it.